In the nearly 6 years that Hike Mt Shasta has been on line, I have never posted a post on Veterans Day but this year is a bit different. Speaking broadly, the 100th anniversary of the end of the First World War is worthy of note no matter what the normal subject of a website. The death of the old world and the violent birth of the new was a singular event thus far in human history and we are all living in the wake of that incredible and incredibly bloody event. 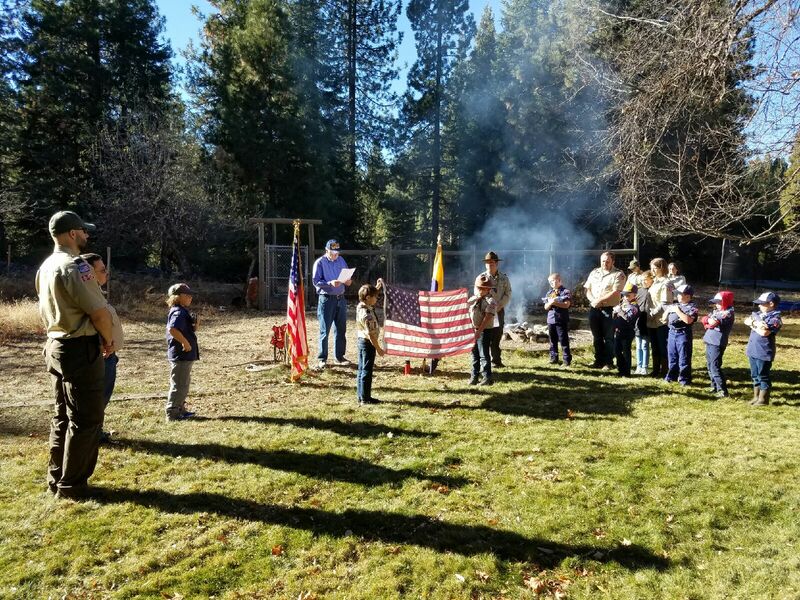 The other reason I am moved to mark this day is that, in recognition of Veterans Day, my son’s Cub Scout pack held a flag retirement ceremony in my backyard. It was a great, multi-generational event, with a veteran joining us and the boys mixing effortlessly with him and the other adult scout leaders. When the time came for the ceremony, all the Cub Scouts were appropriately reverent, recognizing the solemnity of the event. We retired nearly a dozen flags, each one having been folded respectfully and placed in the flames for honorable retirement. I am glad that these kids are able to participate in this and other important civic duties by being in the Cub Scouts. I only wish we had had more in our pack, so more kids would be learning these critical lessons and having these invaluable experiences. Hopefully more will join our pack! After the fire died down, a few of the leaders and I sifted through the ashes and removed all the flag’s grommets. It has been a tradition in some Boy Scout units to collect these and hang them together on the troop’s flag so that they continue service honorably. Some are kept for personal carry as well. I have had one for 30 years in my Boy Scout uniform. I am honored to be able to pass this tradition on to the next generation. Hopefully these will be carried proudly for decades to come. Looking south from the Shasta Valley, where smoke from a flared-up Delta Fire covers the sky. It has been a few weeks since I posted anything on the Delta Fire. Frankly, I had figured I would be done commenting on that conflagration, since it was winding down and had nearly reached 100% containment. The sky has been clear and the days beautiful. Even though there is still a little bit of fire season left to endure, I reckoned that we were past it for the most part. As far as the Delta Fire has been behaving, my presumptions were not unreasonable. Unfortunately, the fire has jumped the fire line and has flared up with renewed vigor. Strangely enough the fire jumped a line that had been cut in as a contingency fire break to halt the growth of the Carr Fire. 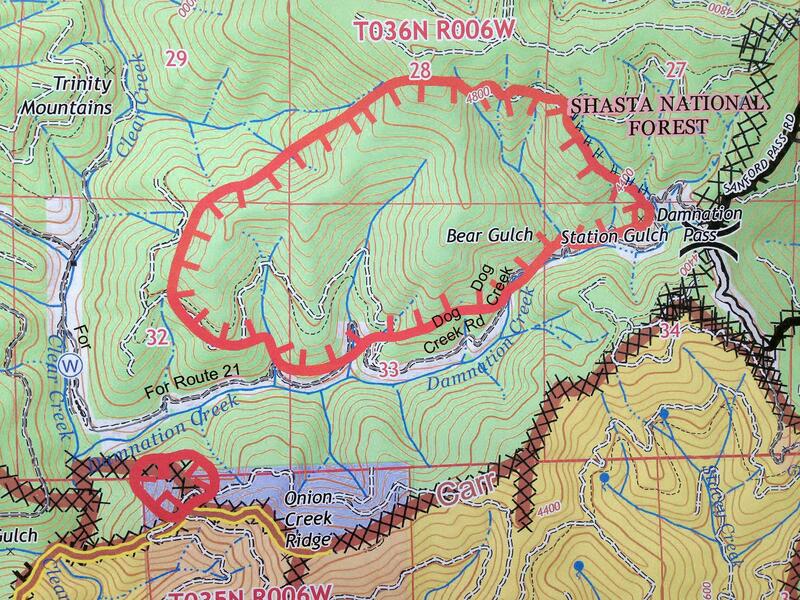 The line was then fortuitously positioned to establish containment on the Delta Fire. 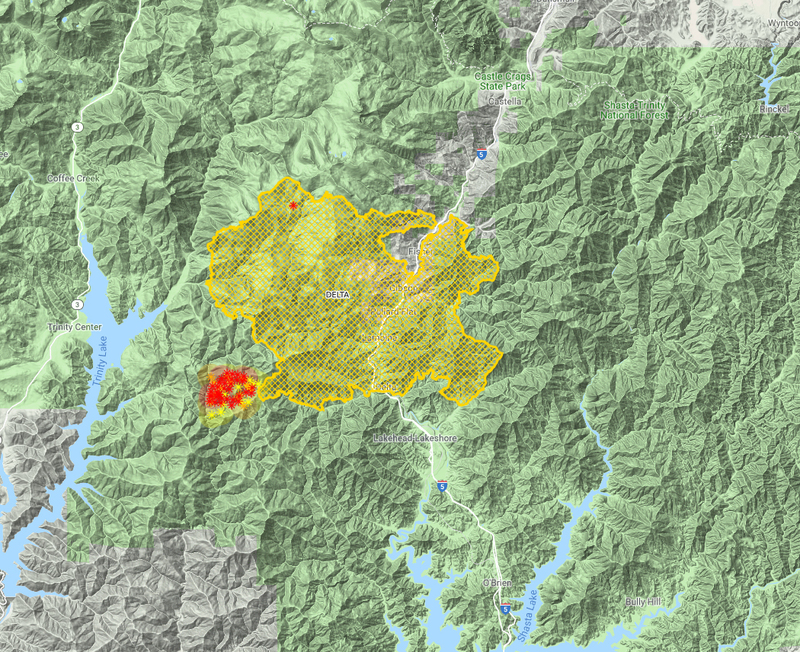 Now, somehow, the fire has jumped the line at Damnation Pass and already grown to over 1,500 acres. Officially, this is being treated as part of the Delta Fire. I don’t want to be irresponsible with speculation, but the cause of this fire, at the very least, warrants some suspicion with regards to human activity. ‘Nuff said on that at this point. The fire is currently burning on the north side of Damnation Creek. To the south is the vast, charred expanse of the Carr Fire. To the north is the uppermost stretch of Clear Creek. Fortunately, between the Carr, the Delta and Trinity Lake, there isn’t too much territory for it the flare up to consume. It is mostly along Damnation and Clear Creeks. Even better, it is supposed to rain over the weekend. That will really put the kibosh on the fire. I just hope the rain holds off until Saturday night, since the Cub Scout Pack is holding a rummage sale at Scout Hall (shameless plug!) 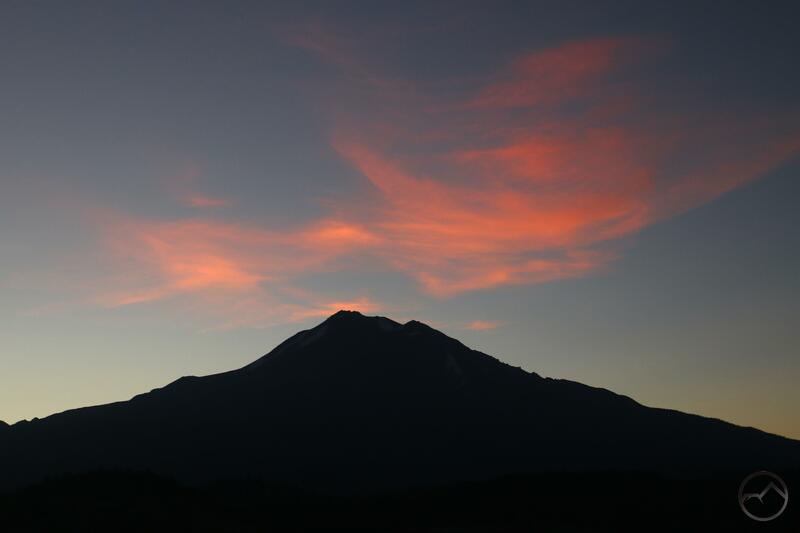 One other blessing in all of this is that, despite the smoke piling up to the south once again, the winds have kept it away from Mount Shasta and we have been able to enjoy gorgeous clear skies. Bring on the rain! Fire to the south, but a clear morning above Mount Shasta. I don’t often steer the Hike Mt Shasta website into personal stuff, but, as has been demonstrated in the past, I do occasionally post some pictures of what my kids have been up to. Today I am taking that one step further and I want to talk about Cub Scouts. In a way, this whole website would not be what it is if I had not had my own experiences in Scouts. If anyone has read the “about the author” section of my books, they may have observed that I am quick to credit the Boy Scouts with playing an very important role in the development of my conservation mindset. While my parents and my brother were essential to inspiring a love of the outdoors within me, it was my experiences in the Boy Scouts that really channeled a lot of that into a focused framework of conservation. As a Boy Scout, I earned merit badges like Environmental Science, Forestry, Oceanography, Soil and Water Conservation and others. I was always drawn to these kinds of studies and this gave me a great avenue through which to pursue them. Me as a new Boy Scout. At my Eagle Scout court of honor. Of course, the Boy Scouts also had a robust outdoor program and I thrived on numerous hikes, backpacking trips and campouts. 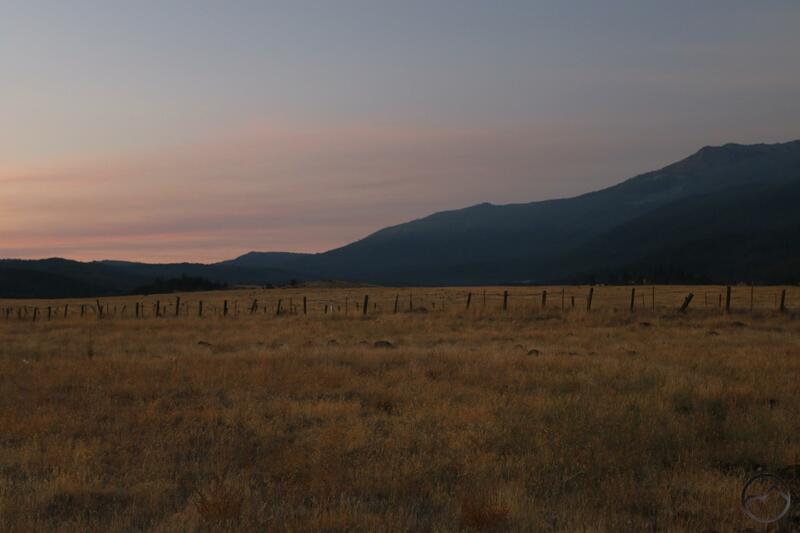 It was my first trip to the Philmont Scout Ranch in New Mexico that sparked my love of the American Southwest (and I still maintain if I did not live here in Mount Shasta, I would probably be living somewhere near Taos!). All of these things combined to reinforce what my parents had already given me and to build a more nuanced understanding of nature and our role within it. Since I was a youth, the Boy Scouts have only increased their emphasis on these practices, especially through partnerships with Center For Outdoor Ethics (Leave No Trace) and other organizations. Now, I have even been educated as a Leave No Trace Trainer through Scouts! This brings me to Cub Scouts. For the last year, My son has been a Cub Scout and he has loved it. The experiences he has had being outdoors with friends, learning skills and serving the community have been very good for him. He is really looking forward to the next year as a Bear (a rank in Cub Scouts), where more advanced skills like knife handling and wood working are developed. Just as I started my journey as a Cub Scout, now I am excited to watch my son on his own adventure. The cars aren’t exactly Leave No Trace. Since I am part of the leadership team in the pack, I work to make sure that there is some Hike Mt Shasta influence on events and the conservation ethic is passed on to the next generation. When we go on hikes or other outdoor activities we try to instill a focus on awareness to how our presence impacts what is around us. Needless to say, this is not done at the expense of fun but in an effort to strike the balance between the two. This is also acted out through service projects. 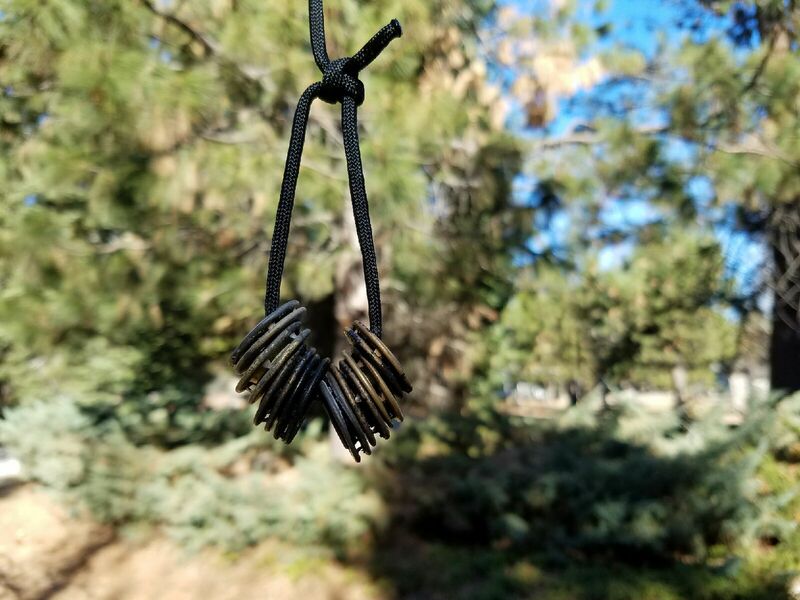 The effort to teach the kids these ideals meshes well with rank advancement in Cub Scouts, since Leave No Trace principles and other conservation concepts are part of the requirements for certain ranks. This leads me to the point of this whole post. Our local Cub Scout unit, Pack 37, is holding an open house for anyone interested in learning more about Cub Scouts, our pack and all the fun the kids will have over the next year. Pack 37 had a really successful year in the 2017-2018 pack season and we are really excited to build on our momentum and grow as a unit. We are poised to have an even better year this coming season. Who: Any boy in grades K through 5th as of September 2018. Where: First Baptist Church, 812 Lassen Lane, Mount Shasta. I really hope parents reading this will consider getting their kids involved. Hopefully I will see you at the open house! 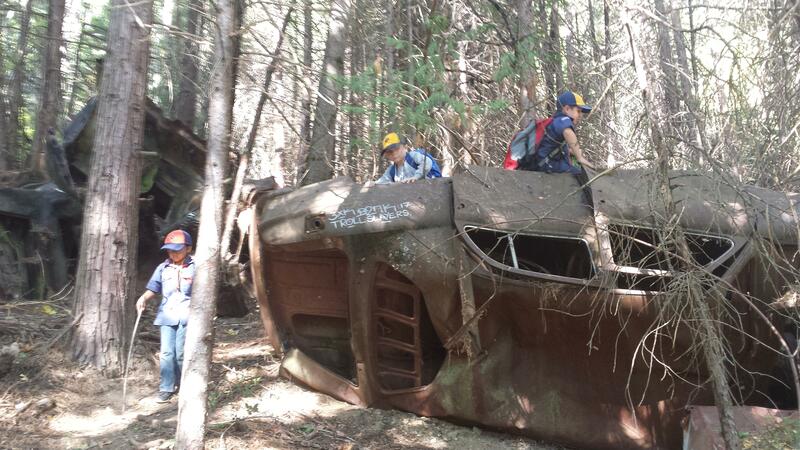 In closing, I want to include some images of what the Cub Scouts have been up to this past year. This is just a sampling of all the activities they did! Hiking trip along the Sacramento River. Pacific Crest Trail view of a Mount Shasta sunset. 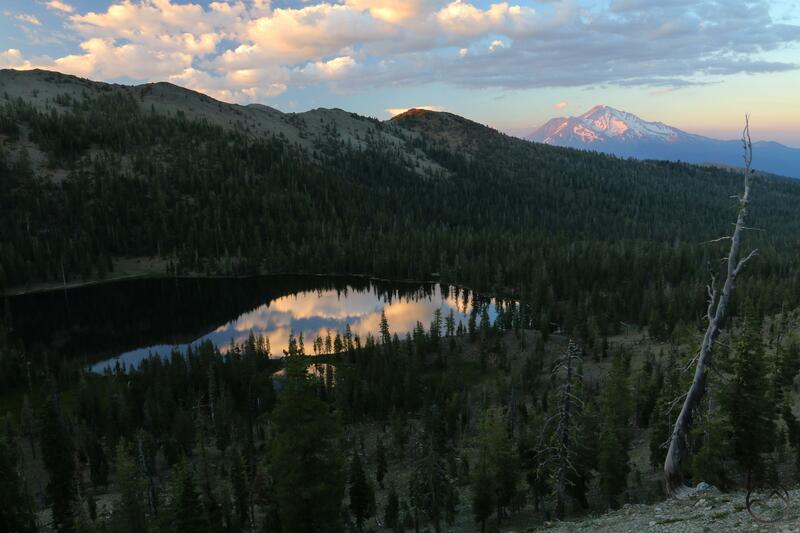 I don’t have a specific point to make on this post, but I wanted to draw attention to a couple of interesting facts and events, some of which are only tangentially related to hiking and Mount Shasta. 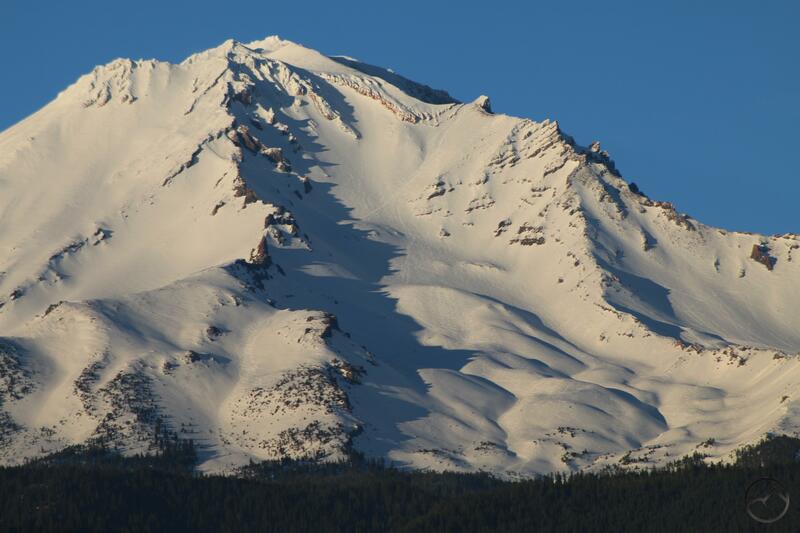 First is the upcoming Trail Town festival that will be celebrated here in Mount Shasta next month. This is the kick off to a new program backed by the PCTA, which highlights our little town’s relationship to the fabled trail. 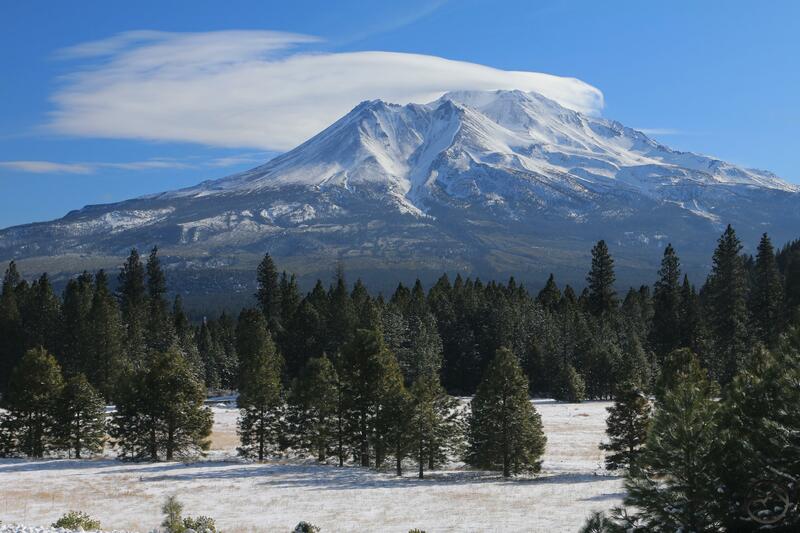 No doubt others communities will join the ranks as official trail towns but it makes sense for Mount Shasta to be the first for a few reasons. Among them is the relatively central position the town holds relative to the rest of California as well as points north in Oregon and Washington. 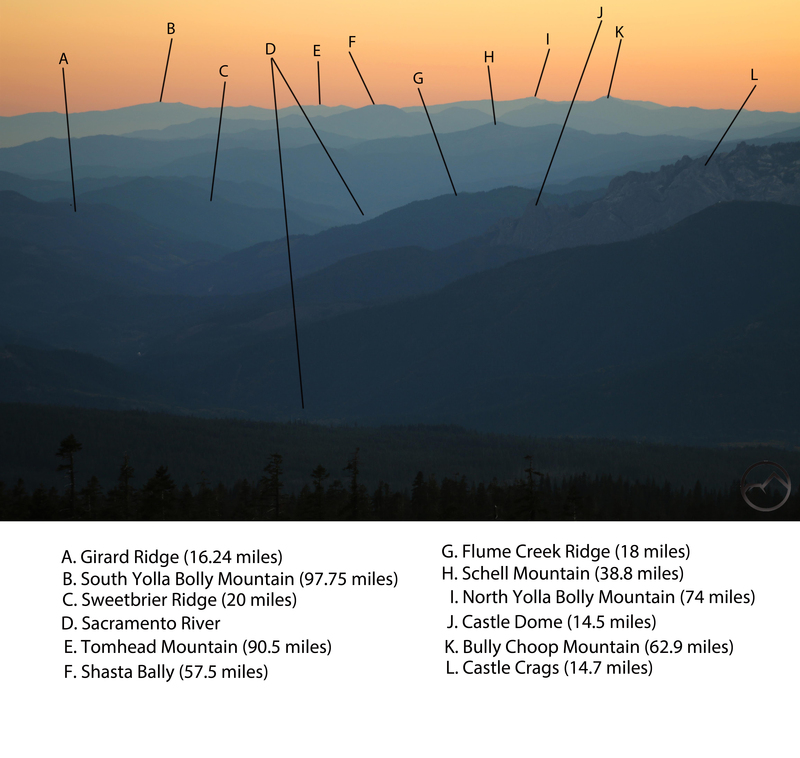 Also (and I plan on writing extensively about this subject sometime this summer), no other mountain dominates the PCT the way Mount Shasta does. It is a constant feature on the trail for literally hundreds of miles. It’s presence is felt for weeks at a time. I will actually be a part of the program during the festivities. My role is still being shaped, but I will likely have a booth and be there to talk about trails and all sorts of other salient, trail-related information. It should be a great event. I am really looking forward to meeting trail aficionados and sharing our interest, beta and passion for the trails in this area as well as the PCT in its totality. This leads me to the other topic I have been itching to bring up. I have been increasingly involved in the Boy Scouts since my oldest has joined the Cub Scouts. Back in May I took him to our council’s Camperall, which is a large campout with Boy Scouts from all over our region, which stretches from Eureka all the way up the east side of the Cascades up to Madras. 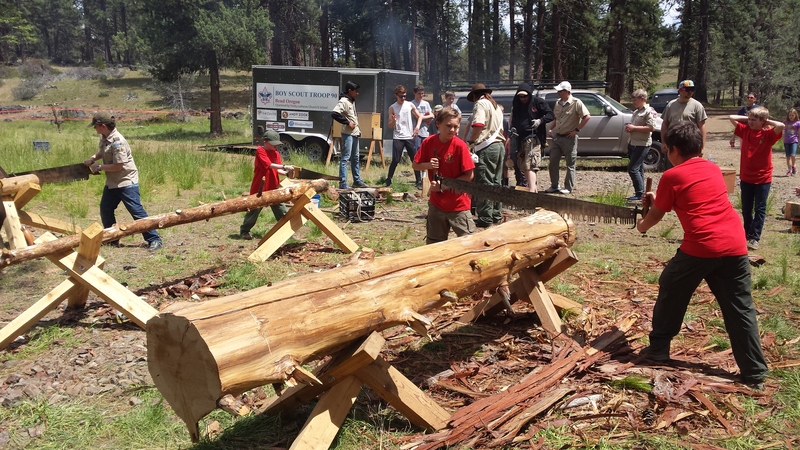 One of the many features at this great event was a crosscut saw demonstration. The boys were able to work together to cut “cookies” off of logs and then take them over to an adjacent station station and have the rounds they cut branded with a fleur-di-lis and “BSA” design. Both the sawing and branding was a lot of fun and was the most popular station at the whole event. I have a few ideas about how to use this fun little creation. Whatever I end up doing with it, it has been a fun little project (special thanks to my neighbor, who is a master blacksmith). One more little brand is in the works too. I hope to have a nice, small brand with the HikeMtShasta logo on it. This one could be used to brand leather belts and other such things, as well as wood and other things. It would be fantastic to be able to use the PCT brand at the Trail Town festival. It has been discussed briefly but is by no means a done deal. A lot of logistics would need to be worked out to make that possible. Of course, I should add that there will be a crosscut saw demonstration at the festival, so there would be “cookies” to brand! Either way, the festival will be a great event. I hope a lot of people from the local community will turn out to support it! Thin, swift-moving waves indicate changing weather systems. My two most favorite sounds are running water over rocks (preferably slabs of granite) and the lonely wind early in the morning high in the mountains. The former naturally comes from my many trips to the Sierra when I was young. Of the latter, the first time I remember that wind really resonating me was early in the morning near Apache Springs at Philmont Scout Ranch in New Mexico, when I was a Boy Scout. Ever since then, I have wanted to get up early and sit somewhere with a great view and let the wind blow around me. Cloudless afternoon at Lake Siskiyou. This morning was very much like that experience back in Philmont. I have been in a real rut lately, only photographing Mount Shasta from 3 easy to get to places near my house. I have been neglecting some of my other preferred locations and all of my less-than-easy-to-get-to spots. This morning I sought to change that and got up early, while it was still very dark. 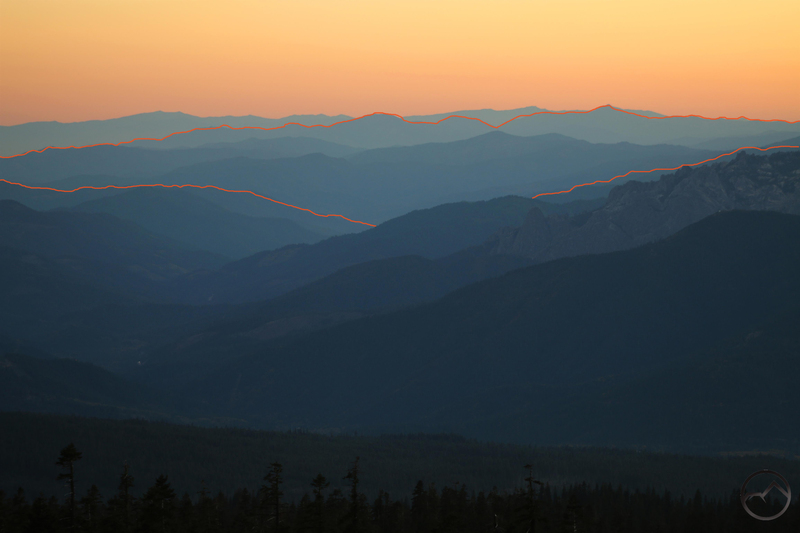 I headed out to one of my less-frequented locations and set my self up to watch the sunrise light on Mount Shasta. The day before had been gorgeous and there was not a cloud in the sky. The same held true when I first headed out this morning. Though there had been almost no clouds when I arrived, frustratingly, the clouds quickly rolled in and partially obscured my view, right when the mountain was really lighting up. I got a few shots of color on Mount Shasta, but what really caught my eye was a wave-like cloud that kept forming and reforming. The light having faded, I head back toward home. I stopped to admire the fantastic clouds and color on the Castle Crags, as well as the beautiful conditions above the Trinity Divide. The Little Castle Lake area had some particularly awesome cloud waves overhead. There even appeared to be a small lenticular forming above Mount Eddy. It was a striking, beautiful morning. However, the spectacle was far from over. After taking a few shots of the aforementioned peaks, I headed home. As I did, I noticed the wave I had seen early had grown and turned into a series of fast-flying clouds that were racing past Mount Shasta. 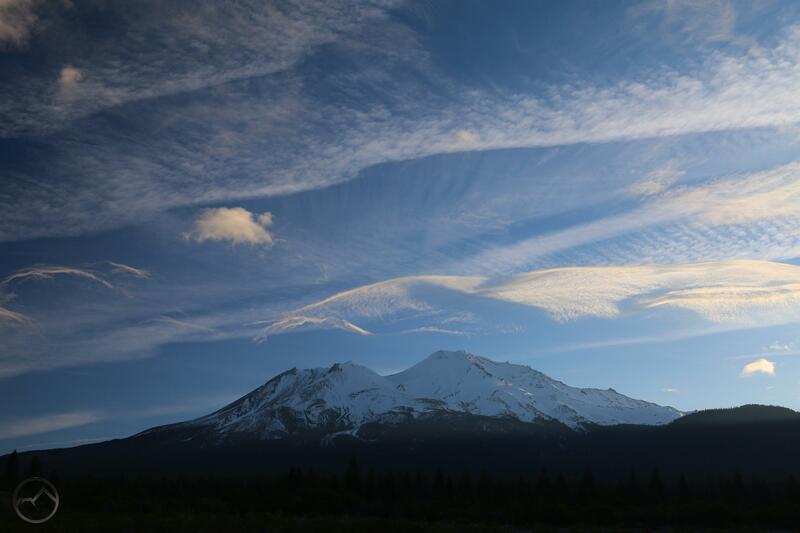 The wispy wave grew as it moved until a stunning complex of wavy clouds began to encroach on Mount Shasta. It was a magnificent sight, and a great way to cap off a beautiful morning. 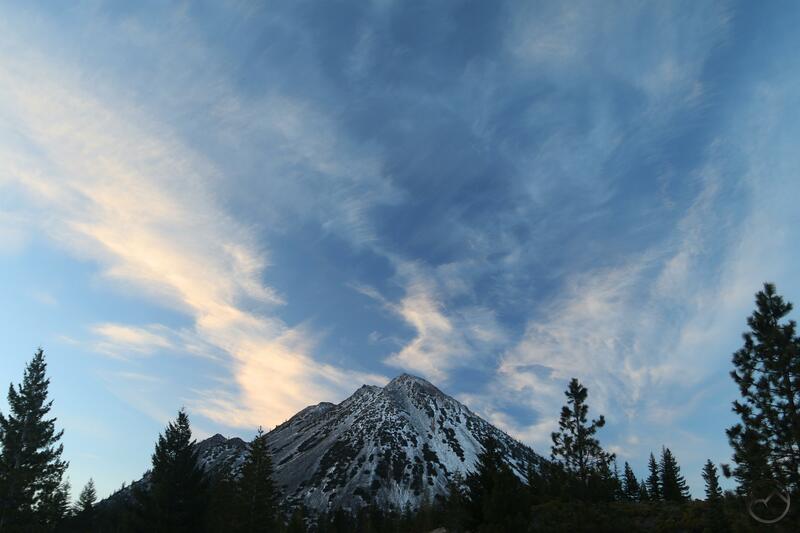 Of course, as is so often the case, this kind of cloud activity on Mount Shasta is often a harbinger of bad weather. Right now, the forecast is calling for 2 solid weeks of rain and snow. Come on spring! The clouds obscure the sunrise. The wave appears above Mount Shasta. The Castle Crags alight at sunrise. Large waves above the Little Castle Lake Basin. Porcupine Peak and the Middle Fork Canyon. A small lenticular above Mount Eddy. An interesting clouds flirts with becoming a lenticular. So, after a brief absence, I am back. 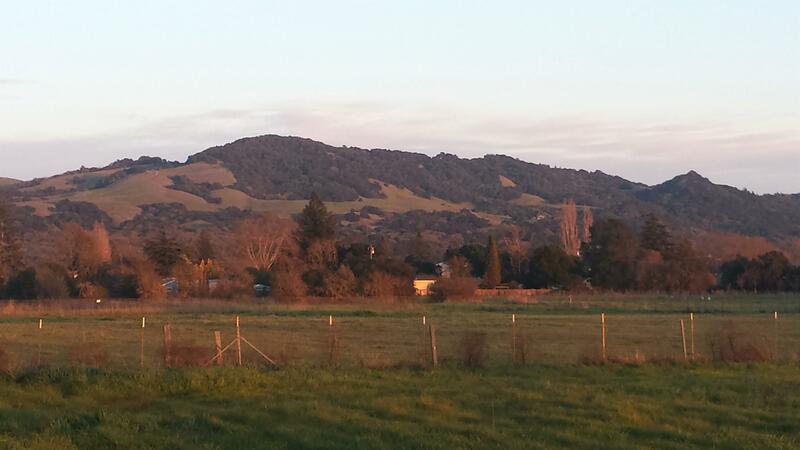 For the last week, I have been down in Sonoma County tying up a number of loose ends. The reason for the trip was fourfold. First, I spoke at the Sonoma Rotary on Wednesday. I was invited to speak about trails in the Wine Country. This was the first time I have ever been invited to speaking engagement and was a lot of fun. 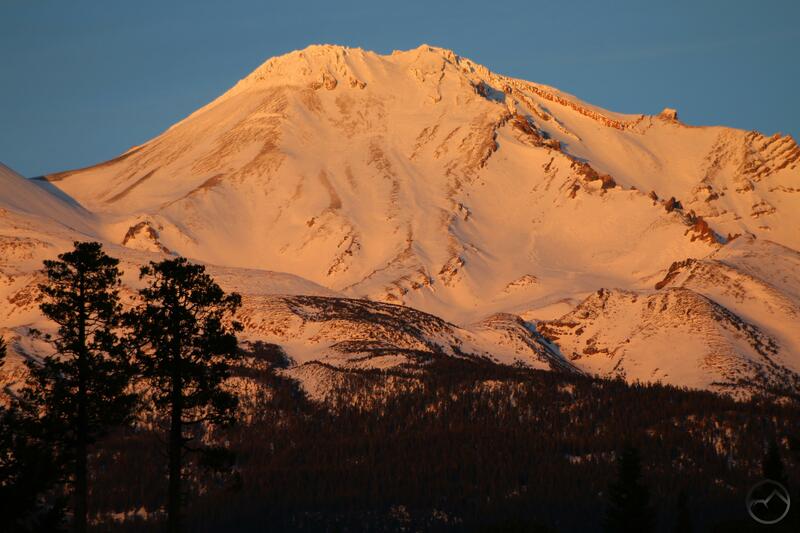 I had another speaking engagement that evening, where, in addition to discussing Wine Country trails, I was able to branch out and talk about Mount Shasta and some other lesser known parts of California. Frankly, it was a lot of fun talking about these awesome areas and I would love to do more events like these. The second reason for the trip down was to attend the Boy Scouts’ Northern California Commissioner College. This was a fascinating training event for adult leaders and I learned quite a bit. The third reason for heading south was to help my parents with several projects around their new house. As I wrote earlier, my folks lost their home in the devastating Tubbs Fire back in October. Amazingly, within 2 months they had purchased a new home and moved in in January. The house is only 2 years old and had everything they were hoping to find. It is an amazing blessing that they are able to get settled so quickly after losing everything. The view of Taylor Mountain from the front porch of the new house. I also had time to head back to the old house, which was stunningly different from the last time I had been there. When I last went by the old place, it was Thanksgiving, dumping rain and everything was an ashy ruin. In the intervening time, the Army Corp of Engineers went through the area and cleaned up all the burned out homes. The area, while in some ways still familiar, does not feel like home anymore. The images below are not from the exact same spot but they are pretty close. Both are looking northwest from the driveway. Since I was going to be down there for a few days, I brought my kids down and was then joined by my wife, who is also from Sonoma County. Time was spent at the coast as well as some of our old haunts around Santa Rosa. It was great to be back amongst our roots. Though are children are all Siskiyou County kids, we really want them to have a connection to Sonoma County as well and try to foster that whenever we are able. 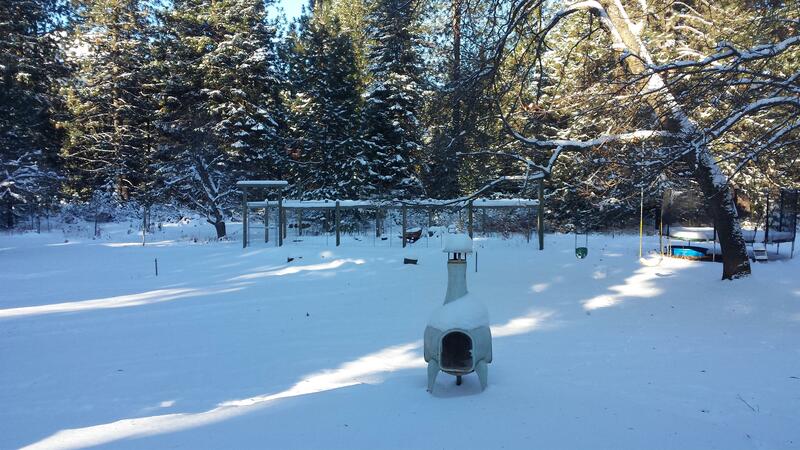 So, after 6 days down there, we returned home to Mount Shasta and were pleased to discover we a little over 6 inches of snow at our house! There was not nearly as much in town, but we are higher up and catch a lot of precipitation. It really felt like winter finally decided to show up for real! My backyard after the storm. It’s not like last year but we’re thankful for it!